It's a known fact that you can complete The Legend of Zelda: Breath of the Wild without discovering every town, city or dungeon, it's just that huge. 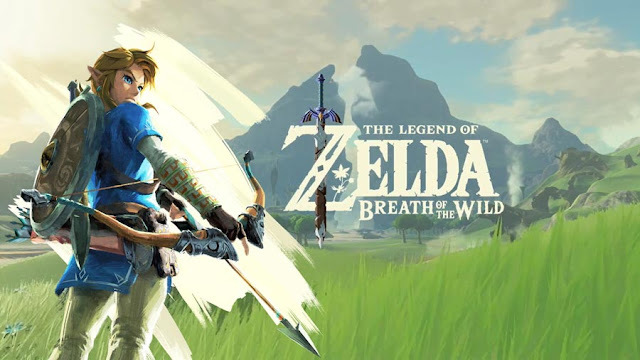 As the first ever open-world Legend of Zelda game, Breath of the Wild offers players a chance to see and do many things in this racially diverse and superior version of Hyrule. This includes the southeast region, where you'll discover Lurelin Village. A tropical beach community which is small but unique for various reasons. While Lurelin isn't hidden, Botw is a massive game and it's easy to miss. 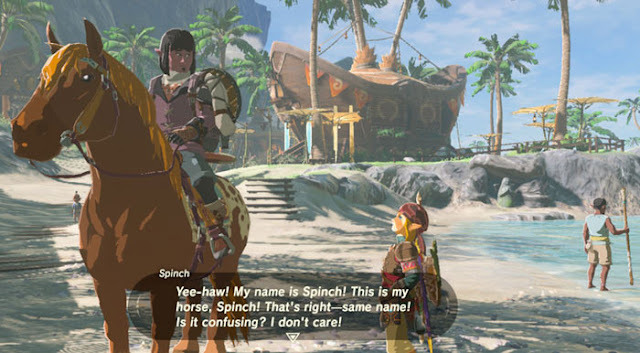 Coming to the realisation that Gerudo town isn't the only town with a high population of dark skinned poc gives us a warm fuzzy feeling inside. When you arrive in Lurelin Village you'll instantly be greeted by lavish greens and multiple wooden huts. Wander into these homes or walk around the settlement and you'll meet unique npcs like Sebasto, Rozel and Kiana. You might even be introduced to Mubs, who will trade you fish you can use to regain health and give yourself impermanent stat boosts. Before Breath of The Wild, the Legend of Zelda wasn't exactly praised for it's racial diversity. Pretty much every game in the franchise features a blonde hair, blue eyed main character whose task is to save the the blonde, blue-eyed princess. It often felt like the only prominent dark skinned person of colour in Hyrule was Ganondorf. Still not to completely take away from The Legend of Zelda, Gerudos are the one revenant race who are non white and ultimate badass women in their own right. The desert based society is made up almost exclusively of beautiful dark-skinned amazons. While all Gerudo are characters of colour, their identity lie less within their race and more towards gender. 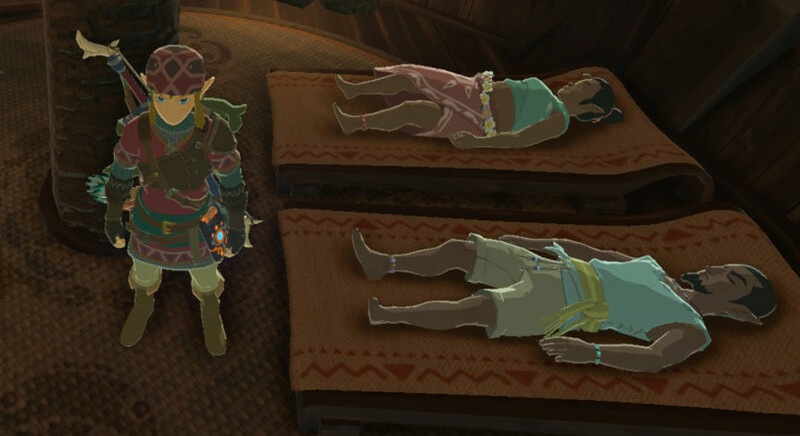 This changes in Breath of Wild, where we finally see the debut of dark skin characters who are not Gerudo kin. 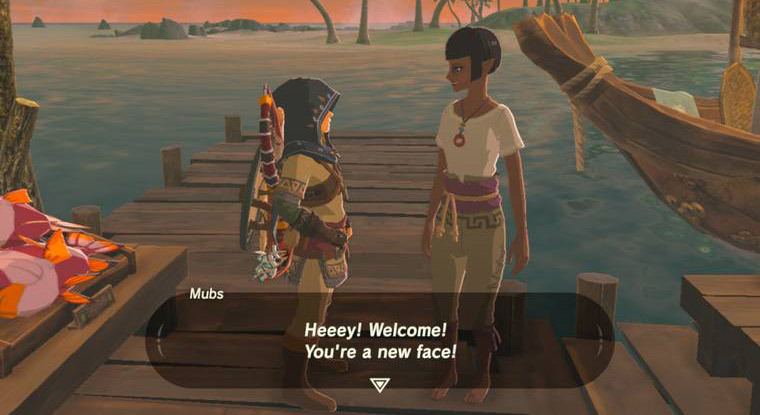 While there's a few dark skin Hylians scattered throughout the world of Hyrule, none of these characters truly stand out like the residents of Lurelin Village. Why is this such a big deal? Because representation matters that's why. Lurelin Village may not have a reason to exist in Breath of The Wild but it's remainder of just how vast and open the game's world really is and it injects a healthy dose of diversity to boot. Not everything has to be related to the main story, sometimes you just need a place to unwind and eat fish. The Legend of Zelda has come a long way from the days when every npc was white. We went from Gerudos in Ocarina of Time, to light skinned Hylians with black oriented hairstyles in Twilight Princess to actual dark skinned Hylians in Breath of Wild. Something many Zelda fans claimed couldn't be possible due to 'lore and tradition', until Nintendo proved them wrong in 2017. We've come far since seeing the first character of colour in Legend of Zelda: Breath of the Wild. 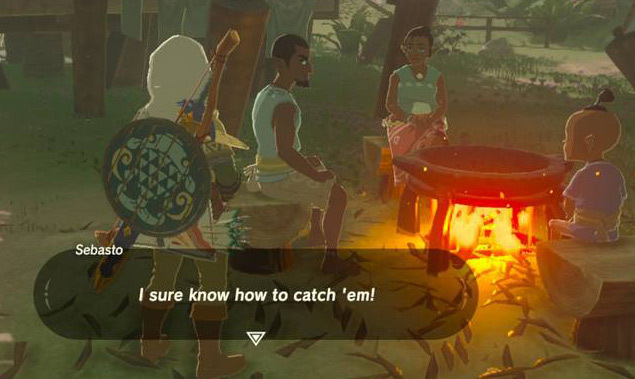 We went from one sighting to dozens and now here we are: an entire village of dark skin folk in the southeast corner of Hyrule, where you'll find the small tropical settlement. Lurelin Village is beautiful as are it's residents and it's not hard to see why when you first walk into town. Nintendo have made history by creating this village, no matter how trivial it may seem. Rarely do jrpgs have dark skin characters let alone an entire settlement of poc. The townsfolk live in simple wooden huts, while many appear to be making their living as humble fishermen. This beautiful destination feels akin to the tropical rural parts of many settlements in real fishing spots such as the Caribbean, Haiti or Fiji to name a few. Lurelin Village is very tropical so it would be only right to give the villagers an appropriate complexion. A dark skin or tan tone looks the part and gives the game much needed racial representation. Something that wasn't present in the series history until now in 2017. It look Nintendo over a decade, but like Pokemon the company has managed to introduce dark skinned poc, something which is truly to be admired as a long time fan. Not only has Nintendo managed to create a town consisting of dark skin women and men, but also a black family. Kiana and her husband Sebasto live in the village with their two offspring Kinov and Zuto in two huts. When's the last time you can think of a Japanese game even having a black married couple? Nintendo managed to make history again by not only creating a village consisting of mainly dark skinned Hylians but also a dark skinned family. Little things like this is what makes Breath of The Wild so special, without even trying. Nintendo have come a long way from the days of including no dark skinned hylians, many claimed it wouldn't happen but thankfully Nintendo opened their eyes and saw the importance of representation and money, and while you still can't create Link in your likeness, this sort of makes up for it in small way. Call it a small victory is if you will. Within the safety parameters of Lurelin Village, you'll discover some of the best variety of fish in this tropical village, which shouldn't be surprising in the least. If you're looking to increase your bass collection, this is where to do it. There's also some interesting side quests which you can partake in. The side quests which you'll get to do are "Sunken Treasure," "Take Back The Sea," and "What's For Dinner?". It's advised to complete mini quests before leaving the village altogether. Just outside Lurelin Village there's a few points of interest for the Hero of Time. For instant, Kilton's monster shop is right outside the village, giving you the chance to purchase monster masks that allow to you blend in with monsters, along with other favourable items like the Dark Link armour set. Also outside the town is Eventide Island, one of the hardest challenges in Breath of The Wild. The moment you set foot on Eventide island, the game will rob you of all your weapons and abilities until you've managed to complete a shrine quest. For easy access to Lurelin Village, you'll want to unlock the Yah Rin Shrine located to the northeast of the village. Not only is this the nearest warp point, but it's an another shrine orb to add to your collection and exchange for more health or stamina. Representation is important and I for one am glad that Nintendo finally gets it. While Pokemon and The Legend of Zelda are looking up, they still have a long way to go with other franchises. Super Mario, Fire Emblem and Super Smash Bros. Sorry if i sounded brass, I wasn't coming at you, just wanted to know the series you were referring to and you're 100% correct. Also super mario odyssey had new Donkers, two of whom were black. True but I'd love to see an actual dark skinned character in Mario's cartoony artstyle, think of Princess Peach, Wario, Rosalina etc. If Nintendo did this my respect for them as a video game company would triple. I agree, especially with Super Smash Bros. That's extremely embarrassing that they haven't managed to include a single black Nintendo as a playable character. I agree wholeheartedly, though what black characters do you think should be playable in smash? I wouldn't mind seeing Twintelle or Kate Alen from F-Zero. Mr Sandman would be fitting seeing as he's the antagonist of Punch Out!! Replacing Mike Tyson. As much as I want Twintelle I don't see them giving her a spot on the roster before Springman who is Arms 'mascot'. This village completely surprised me when I first discovered it, spent like the half the game here after. Nintendo have really stepped up their game. Outside of Gerudos, ten years ago who would think that dark skin and black characters would even be a thing in a Zelda game. I Reremember deluded zelda fanboys telling me that Hylians could only be white and that black Hylians wouldn't make sense, haha they were so wrong. This bought a smile to my face. Damn how did I miss this village in Botw, could've sworn I found every town in the game. I'm gonna play it again. I'm loving the Nintendo switch era of Nintendo games, they are so racially diverse compared to previous eras. I hope this isn't a fad and they continue to make their games racially diverse instead of playing it safe. You're so right, Nintendo had done what no other jrpg managed to achieve in one game and it deserves merit.